Welcome to the NGO Cercle de Paix – Circle Of Peace, from Montréal, Québec, Canada, who has joined International Cities of Peace .Richard Binette, Directeur Général of Cercle de Paix, joins our Advisory Council. Note: Introduction page with information primarily at the time of joining International Cities of Peace. For updates, please contact the liaison. Cercle de Paix – Circle Of Peace is a non-profit organization founded in 2004. Its mission is to promote the International Day of Peace, September 21st and raise awareness to the stakes of non-violence, allowing the develop of a Culture of Peace as defined by UNESCO. As contact in Canada for the International Day of Peace, Circle Of Peace engages civil society in the peaceful observance of the day and organizes cultural events to celebrate Peace. Through “Pacifest”, its annual event, Cercle de Paix – Circle Of Peace organizes popular, cultural and educational events promoting the International Day of Peace and a Culture of Peace. “Pacifest” brings together artists, organizations and citizens to celebrate Peace through various ceremonies, the Peace Bus trip to the UN, the main “Pacifest” Concert event, the Yoga for Peace and many other activities. 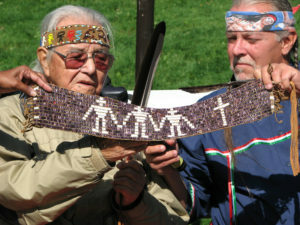 In 2006, Circle Of Peace honoured William Commanda (1913-2011), Great Chief and spiritual leader of the Algonquins, as “Pacifist of the year”. He was Keeper of several Algonquin wampum shell belts, which held records of prophecies, history, treaties and agreements. On this picture, we see the Wampum of “La Grande Paix de Montréal 1701” (Great Peace Treaty of Montreal 1701). Circle Of Peace is also an active member of Pathways To Peace and Culture of Peace Initiative, joining in international efforts to unite the strengths of existing organizations and projects, toward making Peace a practical reality in the 21st century. 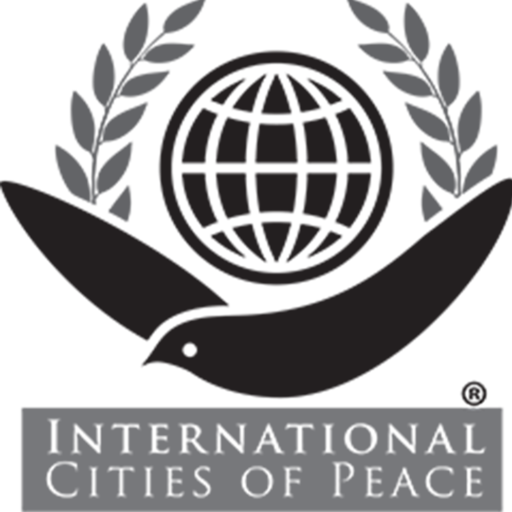 Following the initiative of Avon Mattison, Founder and President, and Robert Muller, then Assistant Secretary-General of the United Nations, the Culture of Peace Initiative was created in 1983 as a program of Pathways To Peace. The annual highlight of this initiative is the International Day of Peace (Peace Day), which is celebrated worldwide on September 21. Peace has solid roots in Canada. 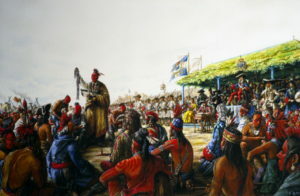 The Great Peace Treaty of 1701, signed in Montreal by chief Kondiaronk, and Louis De Callières, is a great example of our own history. More than 310 years later, we can thank these visionaries, and others for leaving us with such a great legacy. Montreal is a city in the Canadian province of Quebec. It is the largest city in the province, the second-largest in the country (after Toronto) and the fifteenth-largest in North America. Originally called Ville-Marie, or “City of Mary”, the city takes its present name from Mount Royal, the triple-peaked hill located in the heart of the city, or Mont Réal as it was spelled in Middle French (Mont Royal in present French). The city is located on the Island of Montréal, which took its name from the same source as the city, and a few much smaller peripheral islands, the largest of which is Île Bizard. French is the city’s official language and is also the language spoken at home by 60.5% of the population in the city of Montreal proper, followed by English at 21.2% and 23.4% other languages (as of 2006 census). In the larger Montreal Census Metropolitan Area, 70.5% of the population speaks French at home, compared to 18.5% who speak English. Montreal was called “Canada’s Cultural Capital” by Monocle and recently was named a UNESCO City of Design. Though historically the commercial capital of Canada, it was surpassed in population, as well as economic strength, by Toronto after 1976. Today it continues as an important centre of commerce, aerospace, finance, pharmaceuticals, technology, design, culture, tourism, film and world affairs. Montreal was referred to as “Canada’s Cultural Capital” by Monocle magazine. The city is Canada’s centre for French language television productions, radio, theatre, film, multimedia and print publishing. Montreal’s many cultural communities have given it a distinct local culture. DO YOU THINK YOUR COMMUNITY CAN BE A CITY OF PEACE? SEND AN EMAIL! Note: If information or photos used here are copyrighted, please contact us and we will immediately delete the copyrighted material. 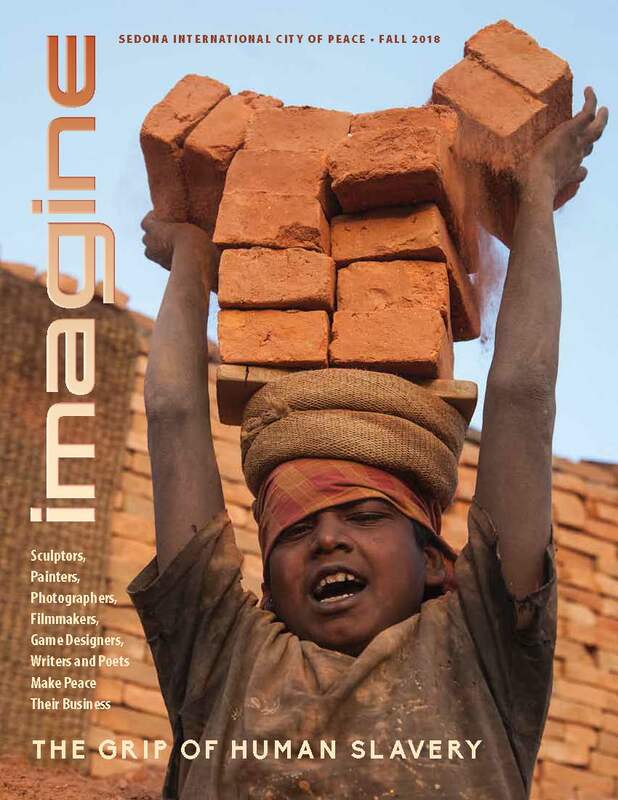 The Sedona, Arizona peace team has created a profound and elegant magazine. 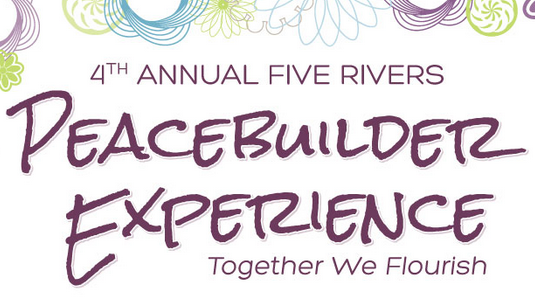 Check out this opportunity for Cities of Peace to celebrate, educated\, and inspire! 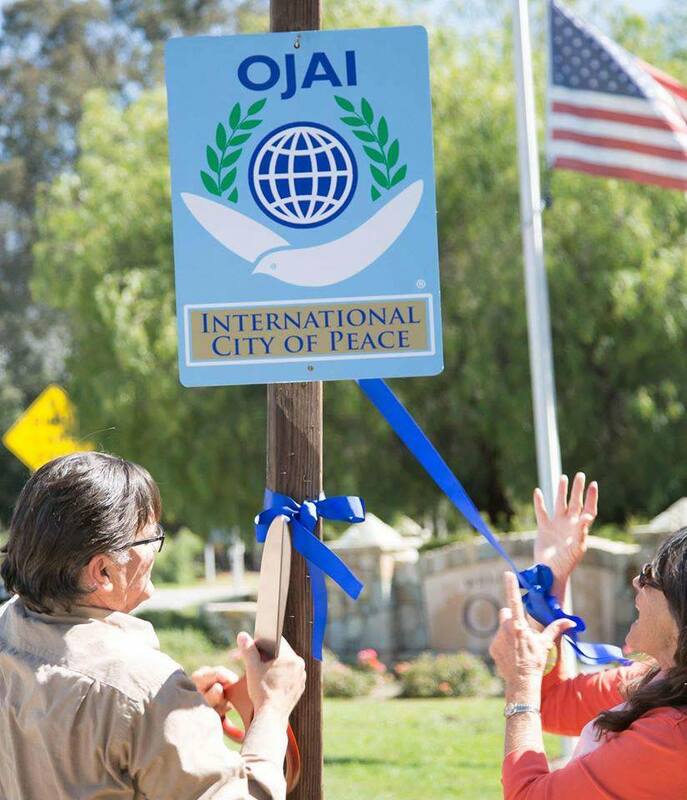 The peace team in Ojai, California erected a municipal City of Peace sign! Cities of Peace, Inc. is an association of independent International Cities of Peace and is not responsible for the activities, actions, and opinions of individual members, partners, and advisors. "Do for others as you would have them do for you" is the ethical focus of The Golden Rule Institute, a service of International Cities of Peace. 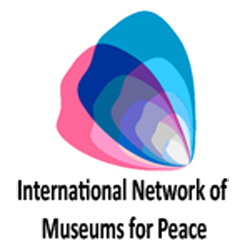 Our association is a member of the International Network of Museums for Peace, supporting museums and organizations dedicated to witnessing violence and educating about nonviolent solutions.